Available in Black Bovine, the Full Dress Sporran is traditionally the matching accessory to a formal kilt outfit. 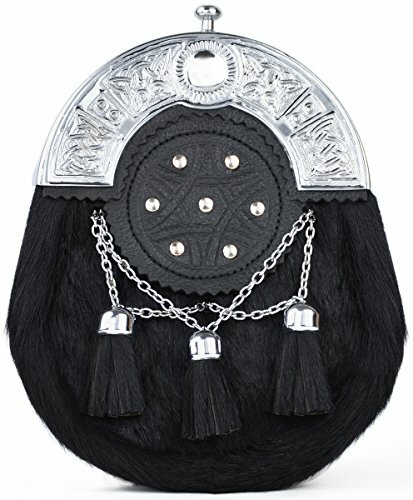 Featuring a chrome, Celtic design cantle, leather Targe detailing, three decorative tassels and complete with chain strap. Kilt Society Mens 8 Yard Scottish Kilt Black Watch Tartan 30" to 34"